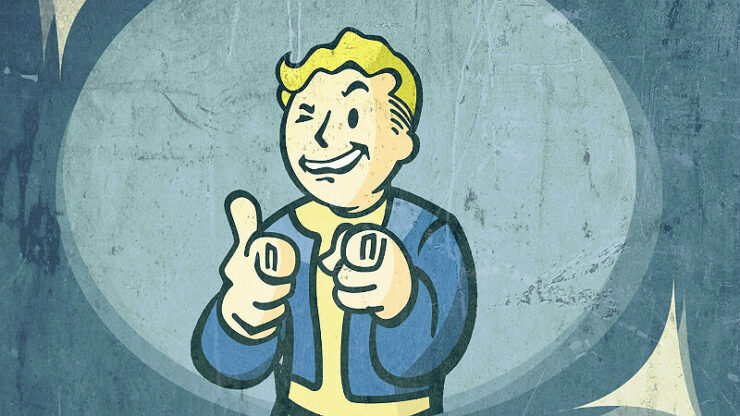 Vaults (bomb shelters) were created by Vault-tec, to protect certain people from TOTAL ATOMIC ANNIHILATION. However another purpose was to conduct experiments, on the residents of the vaults by the government. 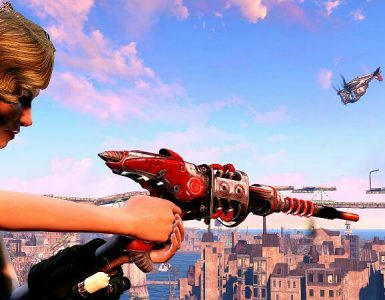 Vault 87 – A Forced Evolutionary Virus (F.E.V.) research and testing facility. The residents were exposed to the FEV in locked chambers. Where scientists would observe their changes. In two weeks, the subjects underwent changes, that gave birth to super mutants and centaurs. 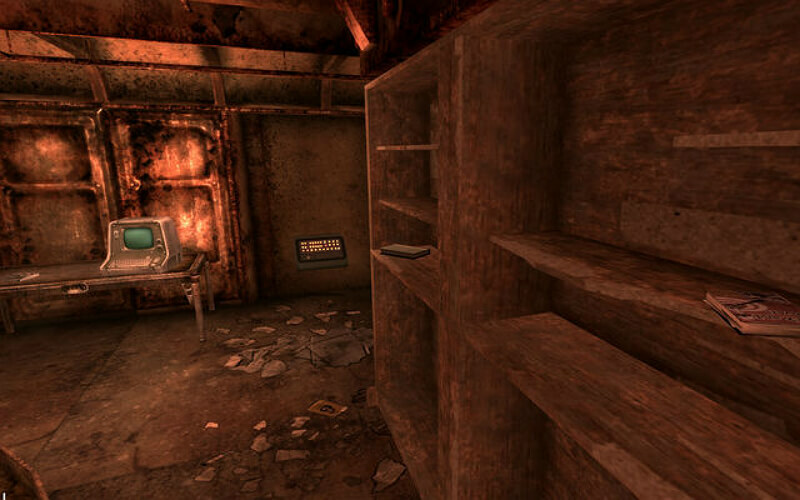 Vault 92 – Populated largely by renowned musicians, this vault was a test bed for a white noise-based system, for implanting combat-oriented posthypnotic suggestions. 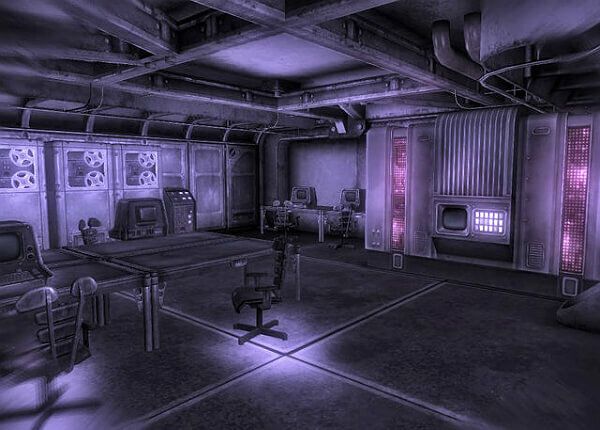 Vault 106 – As an experiment, the overseer instructed the vault to be filled with colorless psychoactive drugs, into the air filtration system. Exactly 10 days after the door was sealed. The drugs caused hallucinations, which led to all of the vault residents’ insanity. 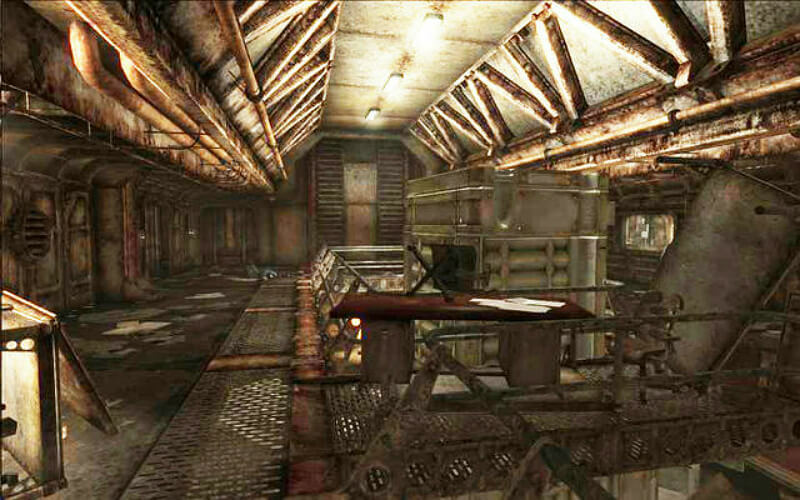 Vault 108 – The vault houses a cloning lab. All (surviving) residents are clones of one man called Gary. 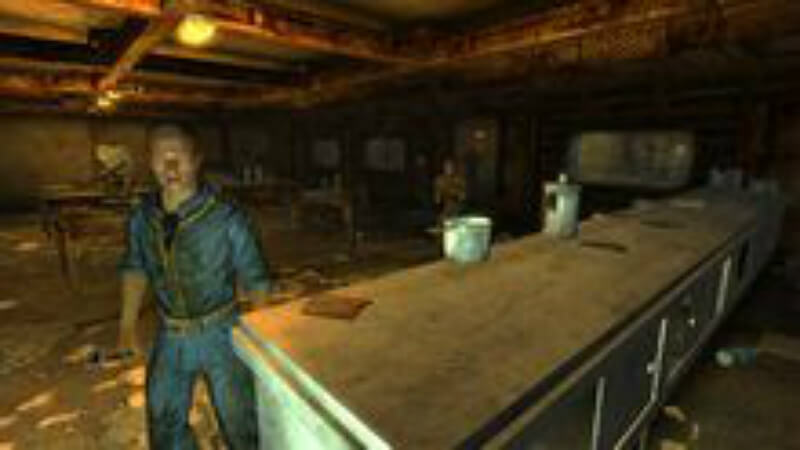 Vault 112 – All residents were placed in suspended animation, and connected to a virtual reality simulator, where they thought they would live a “perfect” virtual life indefinitely. Unfortunately, Dr. Stanislaus Braun held absolute control of the simulation, and used it to torture the residents for his own pleasure. 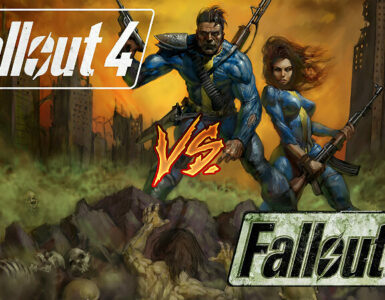 NOTE: Vault 101 is not mentioned, due to it not having a scary background nor anything exciting. 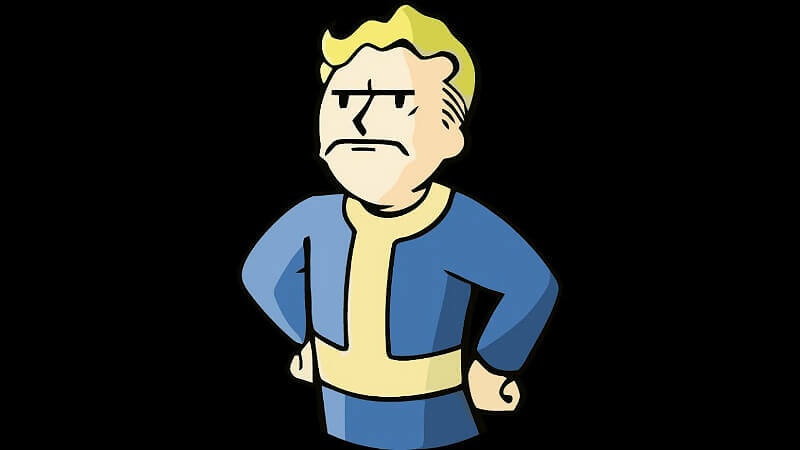 And Vault 77 due to it not being in the game. Its located near Little Lamplight and Broadcast tower KT8. 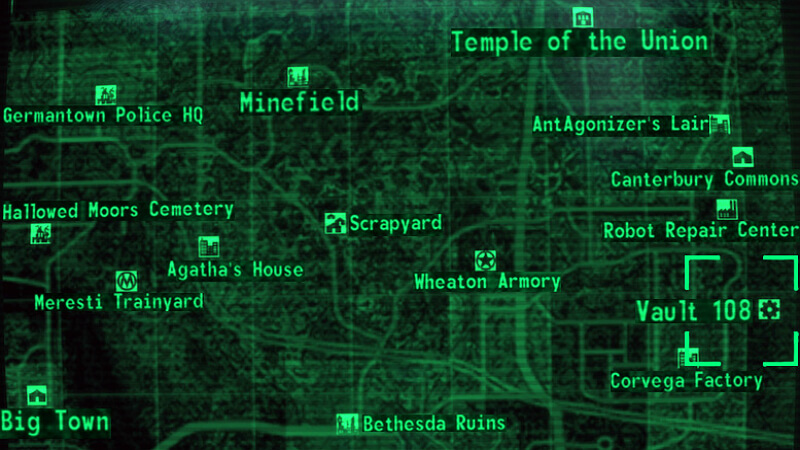 You cannot access it through the entrance on the surface, due to the an INSANE amount of radiation around the area! It needs to be accessed through Little lamplight, (a quest must be completed to even access little lamplight.) Once this is done, you will be able to head to vault 87 through murder pass, that’s full of super mutants or hack a terminal that will give you a safer path. The vault was built to experiment the FEV (Forced Evolutionary Virus) program, known as Evolutionary Experimentation Program. Vault 87 dwellers were locked in rooms, to be exposed to the virus for scientists to observe. While the virus changed the dweller’s appearance rapidly. They were asexual, more muscle mass and gained hard skin. Many died due to them lacking needs for them to survive, or were killed due to them becoming aggressive and dangerous. Anyone that died to the virus were given unexplained deaths to cover this up. Many dwellers become suspicious. It is presumed that the FEV subjects took over the vault killing or mutating the population. The super mutants claimed themselves as obsessed with there new species and become kidnapping many wastelanders over the years and turned them into super mutants with the virus. 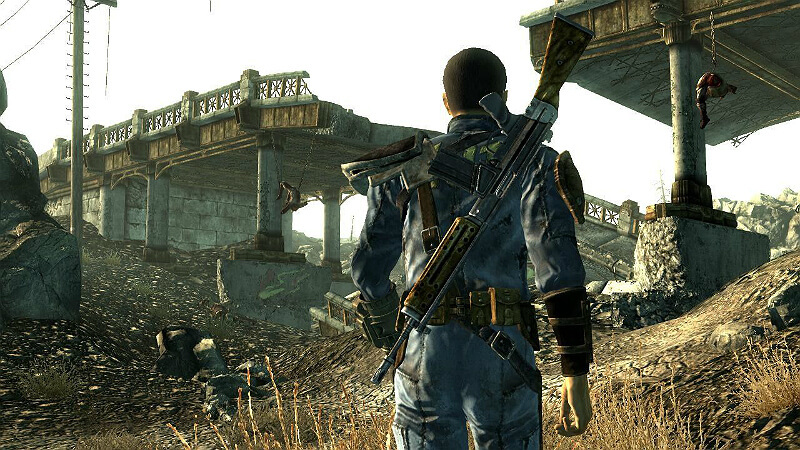 After 200 years of turning people into super mutants they ran out of the FEV (green stuff) and explored the wasteland looking for a source of the virus. It is expected that you are well stocked with ammo and medical supplies with powerful weaponry/armor. 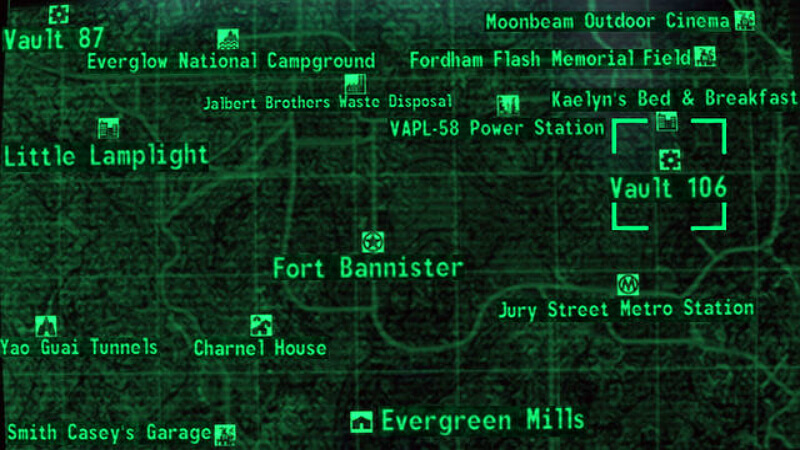 Vault 87 is the birthplace of super mutants and centaurs which means high ranked super mutants will be found here. Brutes and masters will be encountered commonly. Centaurs will also be found here. 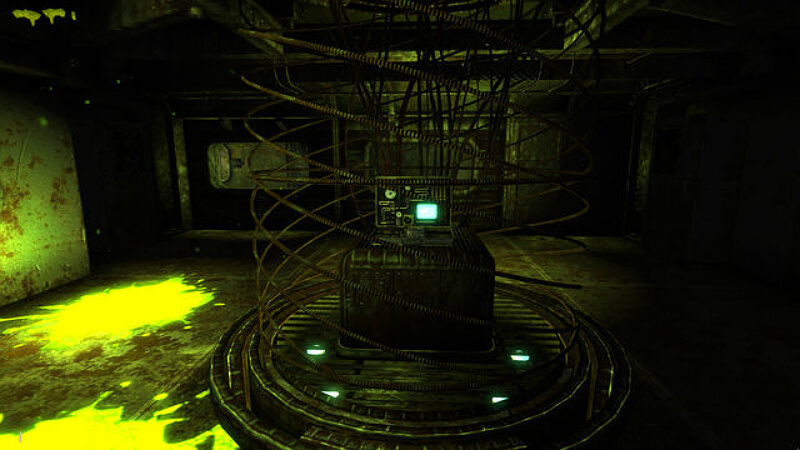 As the player explores the vault they will stumble to an test chambers where dead super mutants can be found. There appearance is much different to the live mutants. Why? Because theses were the first ever super mutants. They died for two reasons (that is found in the backstory area). Thenapple explains the super mutants appearance which I will write down here. Thenthapple: These are the early generation super mutants. People who were exposed FEV and radiation worked, mangled and mutated beyond anything that can be called human or functioning. High upper body, very small lower body, small legs, warped limps, gangrenous limps, many bulbous growths like their backs, broken foot malformed foot, small arms and based on their face they died in a lot of pain. Fawkes can be found here. 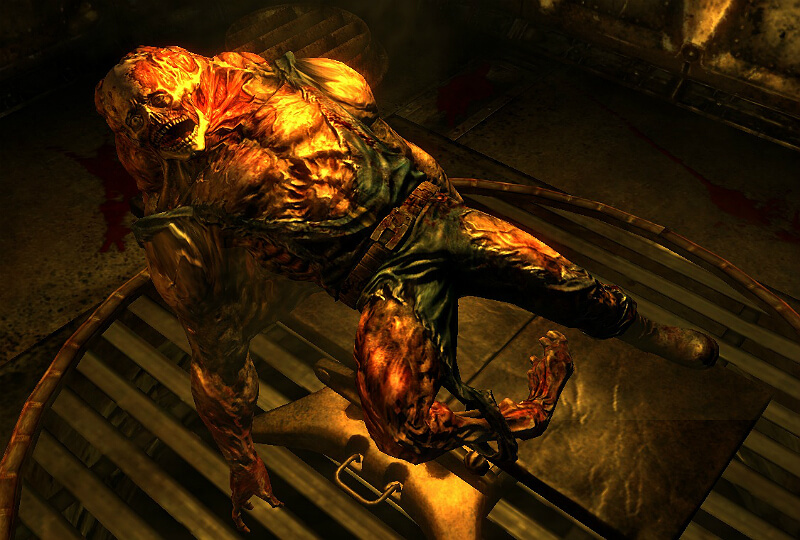 Fawkes is a sane and intelligent super mutant found trapped in a room with a working terminal. He can be freed and can become a companion after the mission ” The American Dream”. The player must get the G.E.C.K. The area where the G.E.C.K is located is full of radiation. If you free Fawkes he will get you the G.E.C.K. It’s possible to get to the G.E.C.K with the help of a radiation suit, Rad-x, and Radaway. Ammo and dozen of medical supplies can be found here. Nuka cola quantem is also located here. Look in gore bags. Gorebags will possibly have caps and ammo. 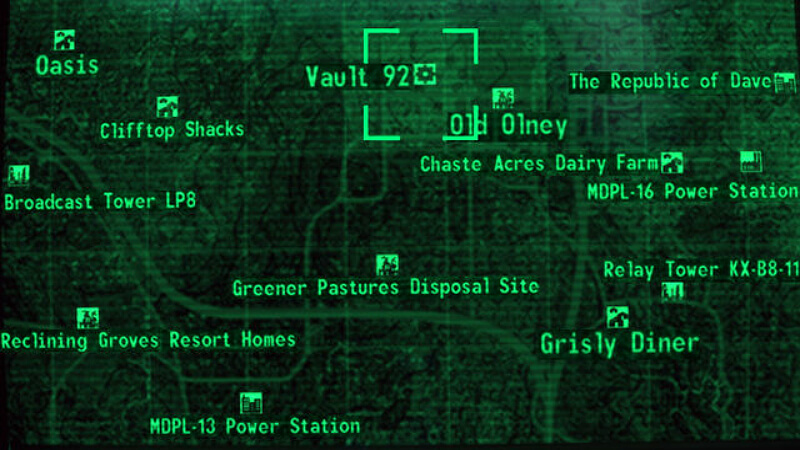 Its located deathclaw-infested ruins of Old Olney. It’s accessed through a wooden door. This vault was meant to invite famous musicians to preserve their talent. However it was much more sinister. They used white noise to implant messages and turn the dwellers that would turn into soldiers that wouldn’t question, This would make them much more dangerous and obedient then normal humans. Professor Malleus lead the research but was unaware that they would be used for military purposes, he thought it was just experimenting on modifying human behaviour. One of the subjects had extreme rage killed three people and it took 23 bullets to kill them. Other subjects had this rage too, including a female Zoe Hammerstein who wrote on the terminal begging her friends to help he as she succumbed to the white noise while her grammer and spelling degenerate. The professor was killed as he tried to convince the overseer to take the problem seriously and even leave the vault. Half of the vault when mad and violent and slaughtered half the vault. The crazed group escaped. Before the mad dwellers attacked, there was a serious problem that involved a lake, creek or a body of water that was pressing against the walls on the lower levels of the vault slowly destroying the wall. Repairs and minor reinforcements were made but it wouldn’t last long. The wall eventually broke allowing mirelurks to access the vault. There is a lot of mirelurks and mirelurk hunters with bloatflies. Strong weapons and medical supplies are needed. In the living quarters on one the terminals is an option called noise flush. 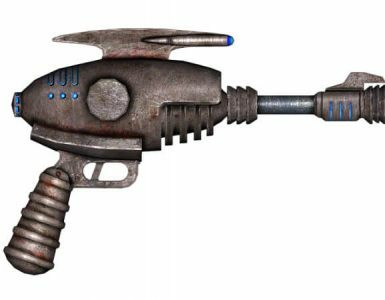 Activating this will kill all the mirelurks in the area. Not the entire vault. The engineer’s log mentions stress fractures and water seepage in three areas on D level, presuming the existence of an underground lake or spring, and warning that unless a solution is found “we’ll be knee deep in nasty groundwater or worse.” This may explain the mirelurks found in the lower levels. Stealth boy can be found. Nuka cola quantum is found. Its location is near Kaelyn’s Bed & Breakfast and Jury Street Metro station. It’s accessed through a wooden door. In this vault they pumped a psychoactive drug through the vents of the vault. This caused vault dwellers to hallucinate and become insane. But the Overseer told everyone that everything was fine. It’s unknown what was the aftermath but insane dwellers still remain in the vault. At the end of the vault in a cave like area there are 5 skeletons and mini nuke suggesting that these dwellers attempted to blow there way out. The drugs are still pumping to this day. The insane vault dwellers don’t pose a threat but they stronger then raiders. They can only hold melee weapons so if you keep your distance you may not need to use your medical supplies. Near the end of the vault a Survivor may be found. They are much stronger then a insane dweller and a challenge to kill due to hallucinations. 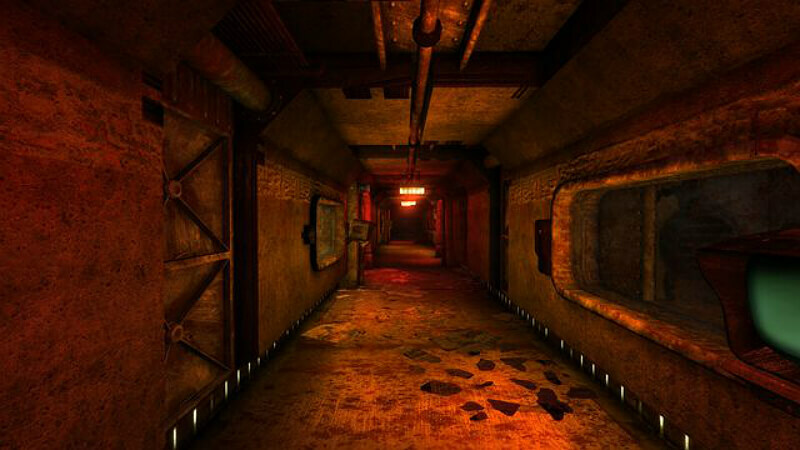 The player will encounter dozen of hallucinations. Your father can be found. Shooting him (loss karma) or talking to him will cause him to disappear. You will also encounter the overseer and Amata. Shooting them results loss karma. When you encounter the survivor you will be attacked by the Tunnel snakes. Shooting them will cause them to disappear. 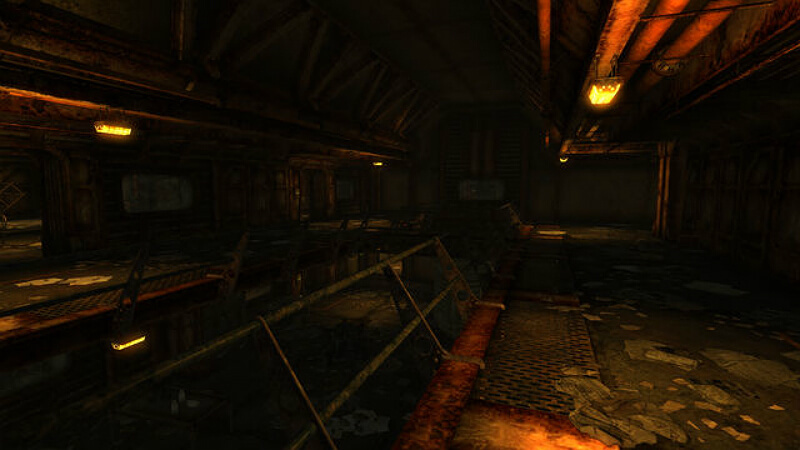 Further in the vault the player will hallucinate a undamaged area. This is the drugs attempting to control you. 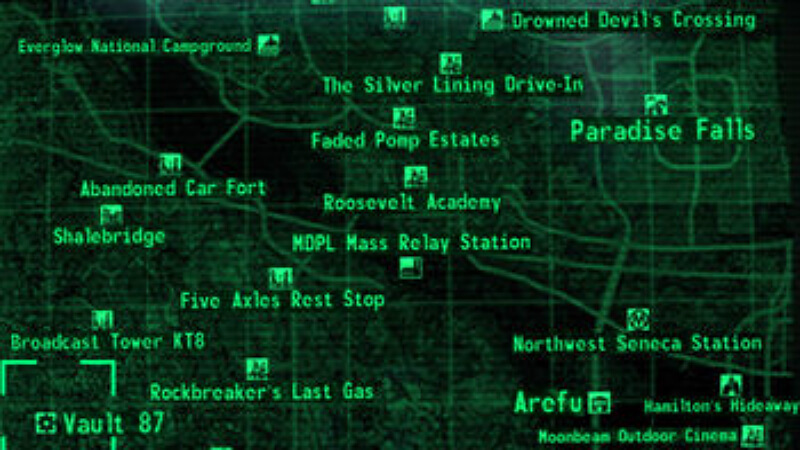 The player can look at there pip-boy or the terminals. They will get messages telling them to settle down. The last message “Forget it, I’m through talking to you”, this shows that the player fought against the drug. A science bobblehead is located in this vault. Dozen of notes are found in the vault by insane and sane dwellers. Mini nuke and ammo can be found in the cave area. The vault can be located near Canterbury Commons and Corvega factory. Its seen through a wooden door. Vaults experiment was to fight over leadership and power. The vaults overseer had cancer and was expected to die in a couple of months. The vaults power supply was crippling when it was meant to last for 38 years instead of 20. The back up generator didn’t have the power to support the vault. But it had a larger armory stock. It’s unknown why Gary’s were cloned. But they were aggressive to non-clones and this increased as more clones were made. There were to many clones and they needed to destroy some in order to fit in more test subjects. They somehow escape and killed off the population of the vault. Gary was one the inhabitants who was cloned. At least 54 clones were made. But how intelligent are they? Gary clones cannot speak English and they can only say the word Gary, and the tone of the voice displays emotions. It’s proven that Gary clones can be heard talking when the player is in stealth warning others to be careful. It’s unknown if its a bug. They do display some intelligence. They are able to use guns and reload them. They are also curious about the nature of non-clones. A wasteland corpse is found on an operating table. Charisma bobblehead can be found here. Nuka cola quantum is found here. Holodisk is found explaining the events of the vault. Stealth boy is found here. Its located underneath Smith Casey’s garage near Evergreen Mills and Charnel house. The vaults construction was completed November 2068, and finished in June 2074. 85 dwellers were suspended in a virtual reality and gave them a perfect utopia for years and even forever. But the overseer Dr. Stanislaus Braun was mad with power and trapped all the dwellers in the simulation that and they would become his playthings. After being bored he would kill everyone in the simulation and resurrect them within the program. Might bring a melee weapon to get rid of the mole rats that guard the entrance. Unless you animal friend then there is no need to be violent towards the mule rats. Robobrains do not pose a threat! Very unexciting vault. You can only gain the passcode to the Overseers equipment room and a vault suit. There we have it. Not only the vaults were full with horrific plans to play around with the dweller but also had a brutal aftermath to it. Vault-tec really showed the scums they really are. THANKS FOR READING THE GUIDE!